Homey and I were discussing the Youth Outdoor Unlimited (Y.O.U.) 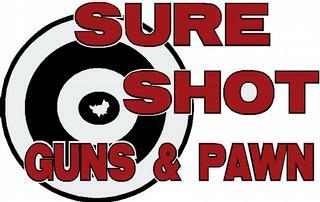 2014 bear hunts. I had just received the story of hunt #2 – 14-year-old Amie Moore’s successful hunt – from Cindy and Joe Carpenter. Homey was perplexed. “Why would you hunt bears? You can’t eat them! Are there even enough of them to hunt? Why hunt them?” In one form or another, he repeated the questions a couple times. That, of course, was the question of the day. I gave him a couple names, as a collage of “bear” filled my mind. Poor as we were when I was a kid, the folks bought a lot with a burned-out basement in East Wenatchee. The Old Man (probably all of 29 at the time) worked all day and built all night. 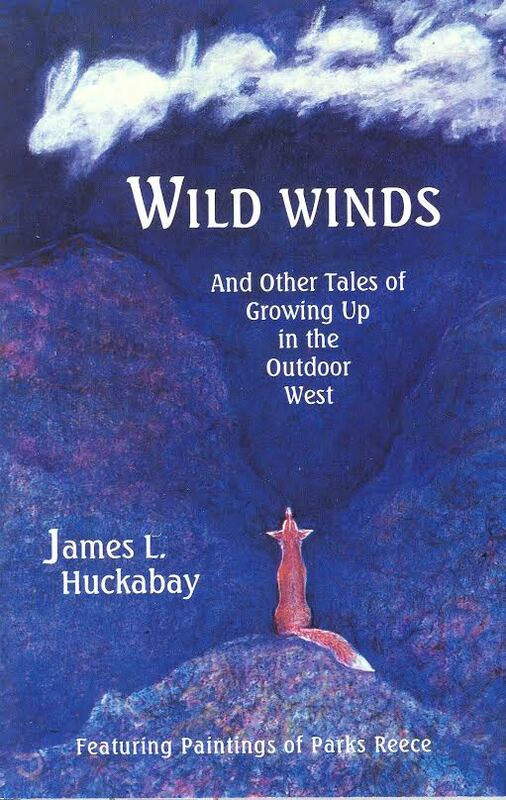 A few months after we moved in, August 1949, he and three of our new neighbors went bear hunting in some wild berry patches in the Cascades. The bear they got was old and fat and big – big enough that I got why they wouldn’t let me go along. They divided the meat four ways. Our loud, know-it-all neighborBarney ended up with the shiny black hide. It had something to do with how he would really appreciate and honor it and how he’d have a rug made. That berry-fattened bear was as fine on the table as anything I’ve ever eaten. One afternoon after the hunt, Barney wandered into our little kitchen when mom was pulling a bear roast out of the oven. “Smells real good, Dorothy, what is that you got there?” She gave him a taste and he smacked his lips. “Why, it’s the bear you boys got, of course,” she said. Barney paled, stammered “Thanks,” and left. Barney nailed the bear hide up high on his barn. He had convinced the other men that bear meat wasn’t edible, and that the Huckabays were poor white trash who would eat about anything. They had buried their shares of the bear. The Old Man was very much not pleased, and let it be known. As Barney explained how this had to be a real unusual bear, the men dug up the rest and scrubbed it off (“Took that SOB 30 minutes with a hose,” was how one wife put it). The Old Man prayed his hunting partners had learned about sacred agreements made with those who give up their flesh for our sustenance. By the time I turned 16, we’d built a fine house, tripling its size. My folks were soon in trouble. As we moved out into our scary new life, two of the hunting partners had moved, Barney was drinking like a horse, and that weathered bear hide was still on his barn. Decades later, I was teaching meditation in Denver when I got a call from a woman associated with some of my close friends in Boulder. She was in earth-centered ceremony and study of her sacred relationship with Mother Earth and healing. Ann was a vegetarian. She explained that, while working with the Medicine Wheel, she had been told that eating the flesh of a bear would deepen and strengthen her work with others. It had to be a bear killed in an honorable, prayerful way. She knew that I hunted in that way, and did I have any bear meat? If not, could I help her find some? It took a while, but we found the right hunter and the proper amount of the right bear meat. Years later, I was told that her work in helping people build the lives they came to the planet to build was widely known and respected. Now here we are with Amie Moore (born with Turner’s Syndrome) and her Canadian black bear hunt. All of the Y.O.U. differently abled hunters learn to handle themselves safely in the woods and with firearms. They learm that making meat of any kind is a task which must be undertaken with respect and gratitude – and joy. Amie’s black bear hunt was donated to Y.O.U. (www.youthoutdoorsunlimited.com) by Bowron River Guiding Service in Willow River, BC. Johnny G Taxidermy, of Coeur d’ Alene, donated taxidermy services, and a lot of others along the way helped the hunt happen. The end result is an experience of a lifetime for all involved, and some of the best eating on the planet. The scheming started in early December, at the annual Washington Association of Conservation Districts (WACD) meeting at Suncadia. We had done this before; Homeys Bill Boyum, Kirk Johnson and I were determined to have another go. The bidding was spirited, but somehow we ended up on top one more time. The money from this annual do supports WACD Evirothon and other association educational activities. More than that, the certificate we won was for an almost-sacred trip on the Big River. This whole thing started at the 2010 WACD meeting in Spokane. I’d been invited to give my trademark talk about dealing with difficult people – a natural given my life history – and stick around for the banquet. After the banquet, there was an auction. I love auctions, but rarely rise to the bait to bid. 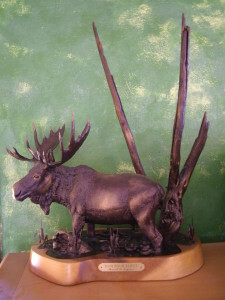 I was being lulled by the rhythm of the auction and the bidding, and visiting with a couple acquaintances, when I heard the MC mention the 2010 Howard Jaeger Memorial Fishing Trip to the Lower Columbia with fishing nut Steve Souvenir. “How many people can go?” I asked. Three people gave three different answers, but it worked; I was soon the proud possessor of a certificate entitling me and a friend or two to time with Steve on the Lower Columbia. As it turned out, Howard had passed away less than a month before the WACD meeting. Bill Boyum had been bidding against me for that trip, but generously offered to round up some information for me about Jaeger. 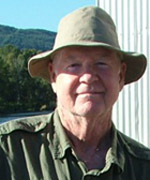 The more I learned about him and his work – and the more I see the large number of other volunteers making our conservation districts function, the more I think you ought to meet Icon Howard, too. 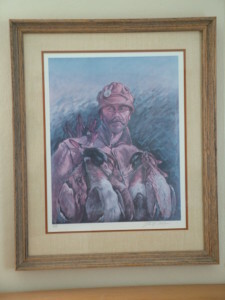 Howard Jaeger was born in Vancouver in 1933, graduated from Kalama High School and was an alum of UW. After a 25-year career with the Army, starting with the Korean Conflict, he retired to his tree farm in Cowlitz County, although “retired” is probably inaccurate. 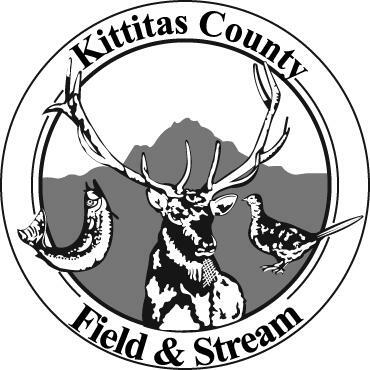 He almost immediately went to work as a volunteer with the Cowlitz Conservation District, and served as an elected supervisor, associate supervisor or board member until his death. Somewhere in that time, he became president of the Washington Association of Conservation Districts and served as a region manager for the Washington State Conservation Commission. Throughout this time, perhaps as an outgrowth of his passion for tree farms and his support of farm forestry, he pushed for creation of the WACD Plant Material Center, and saw it happen. Remember that his thirty years of work on behalf of conservation districts was entirely voluntary. During those “retirement” years, with activities in the American legion and the Veterans of Foreign Wars, he nurtured his family, his garden, his books, his wine, his coffee and his friends. More than anything, Howard loved fishing. As it turns out, Steve So uvenir is married to Howard Jaeger’s favorite niece, Sue. Steve and Howard spent countless hours working the Columbia for salmon, steelhead and sturgeon. As Howard’s health failed, Steve figured a Lower Columbia fishing trip would be the perfect tribute to the man he loved so well, and getting in into the auction would support the work for which Jaeger had carried such a passion. 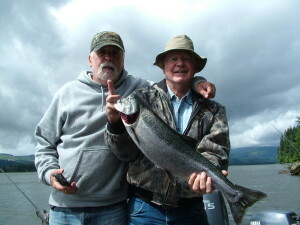 Thus, in the summer of 2011 – and every summer since – we have been on the Columbia with fishing nut Steve. One or both Homeys Bill and Kirk have been with me each year. Somewhere in those years, I have managed to volunteer a couple overnights helping Steve work his small commercial gillnet operation. Anyhow, our latest long and well-planned trip to play “Fishing with Buddy Steve” happened a couple weeks back. As sometimes happens, one homey’s better half had a much better plan for him than wasting another couple days of his waning youth laughing and tempting salmon on the Lower Columbia. So, Bill and an I made the pilgrimage to Clatskanie ourselves. The company was great, as always, and over a couple days in the early part of the salmon run, we had just enough action to interrupt the stories and laughter and bring home fish meat. If you want to know more about WACD, this year’s annual meeting will be in late fall. Find out more about the meeting and the work of our conservation districts at www.wacd.org. 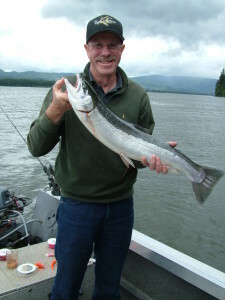 If you hope to be fishing with Steve during the 2015 Howard Jaeger Memorial Fishing Trip on the Lower Columbia, be prepared for a bidding war.